Our History starts long ago. 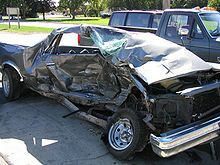 Once a group of people meet in driving school to learn four wheeler driving. The same batch of people meet again for re-touch and it’s common that whenever the crowd meets they start discussion about random interesting topics. This time it had taken mechanical field but the fact is nobody has skill or exposure in that field. Suprisingly the team has showed a great interest to buildup their skills widely in this field. Few were doing Research about this field and some actually joined the industry and got hands-on in depth. Recently when the team meet again, We realized that the group has got more knowledge and satisfying experience in mechanical industry. Care Lives Story begins here on MECHING. Listed below are some of the latest events that our group of companies has experienced. Grand Opening Ceremony – MECHING AUTOMOTIVE SERVICES in Dindigul-Trichy Bypass Road. MSME – Udyog Aadhaar Registration Certificate. Finalised a place to start All car service center in the name of MECHING AUTOMOTIVE SERVICES. Location search ongoing to start a multi-branded vehicle showroom and service in southern tamilnadu. Started discussion about entering into Automotive industry and MECHING was born as the outcome of the meeting. Listed below are the Tools and Equipments we use from the brand of Page Automotive our Equipments and toolkits supplier. MECHING Automotive Services uses genuine products from Mahindra First Choice Services (MFCS) with the brand of spare parts, ‘MFC’ . MECHING Automotive Services and MFC and enables the customers to choose Smart trusted Replacement parts without having to settle for either the expensive OEM parts or the spurious local spares while replacing their car parts. Air filter keeps the engine clean and free of debris so that the engine can function optimally.Air enters the engine chamber through the dust inlet, passes through the air filter which passes it through the filter media, thus cleaning it in the process. The cleaned air is then passed to engine through air outlet. This helps boost engine life and engine power. MFC Air filters are made of high density filter media, come with a sealed gasket and high dimensional accuracy for good installation. A relay also called an “electromagnetic switch” uses a “low amperage circuit” to control a “high amperage circuit” . It mainly protect wiring function in electrical parts of a car. A windscreen wiper or windshield wiper is a device used to remove rain and debris from a windscreen or windshield. We have all possible sizes of Wiper ranging from 12 inches to 26 inches. The primary function of a Coolant is heat transfer. They also contain inhibitors to protect the radiators from rust and corrosion when used as recommended. MFC anti-freeze coolants are the conventional (Green, Red, Blue), ethylene glycol-based anti-freezefor use in automotive and light duty diesel applications. They also contain inhibitors to protect the radiators from rust and corrosion when used as recommended. The key component in a coolant is the quantity of ethylene glycol. The price of the coolant varies in proportion to that of ethylene glycol. A bushing kit or rubber bushing is a type of Vibration Isolator. It provides an interface between two parts, damping the energy transmitted through the bushing. A common application is in vehicle suspension systems, where a bushing made of rubber (or, more often, synthetic rubber or polyurethane) separates the faces of two metal objects while allowing a certain amount of movement. This movement allows the suspension parts to move freely. MFC Lubricants come under the brand name ‘Proleum’. Lubricant is any oily liquid or solid that reduces friction, heat or wear when applied to the surfaces of moving parts. It helps in reducing friction between parts, cooling, removing contaminants in engine, protecting against wear and resists foaming. A car (or automobile) is a wheeled motor vehicle used for transportation. 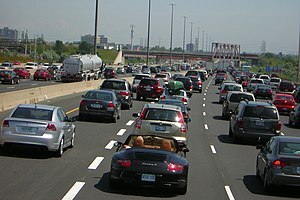 Most definitions of car say they run primarily on roads, seat one to eight people, have four tires, and mainly transport people rather than goods.Cars came into global use during the 20th century, and developed economies depend on them. 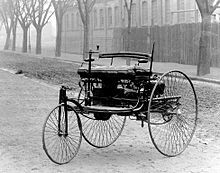 The year 1886 is regarded as the birth year of the modern car when German inventor Karl Benz patented his Benz Patent-Motorwagen. 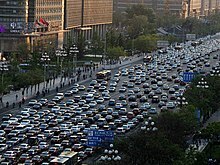 Cars became widely available in the early 20th century. 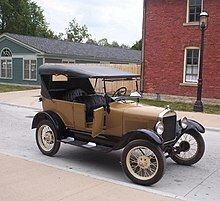 One of the first cars that were accessible to the masses was the 1908 Model T, an American car manufactured by the Ford Motor Company. Cars were rapidly adopted in the US, where they replaced animal-drawn carriages and carts, but took much longer to be accepted in Western Europe and other parts of the world. 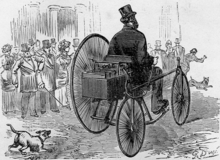 The original Benz Patent-Motorwagen, first built in 1885. 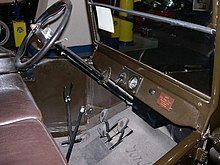 In the Ford Model T the left-side hand lever sets the rear wheel parking brakes and puts the transmission in neutral. © 2019 Meching All Copyrights reserved.